We all know that there isn’t always a data connection everywhere we go. 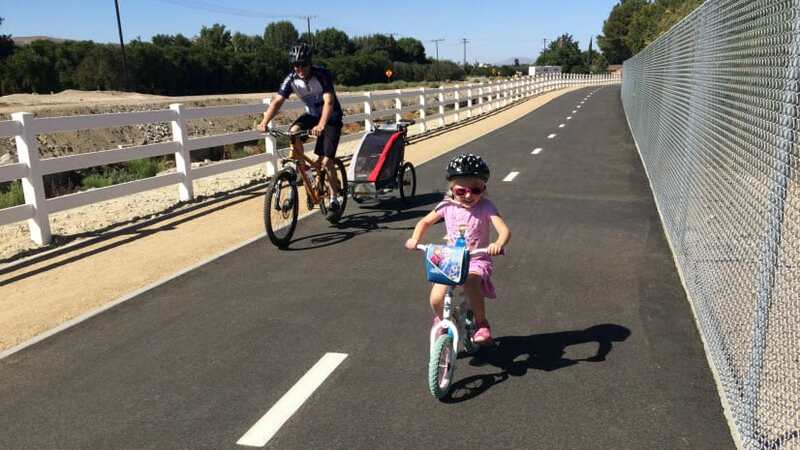 However, there are assets to collect and observations to make everywhere. Collector understands this and enables you to get your work done independent of a reliable, or even any, data connection. 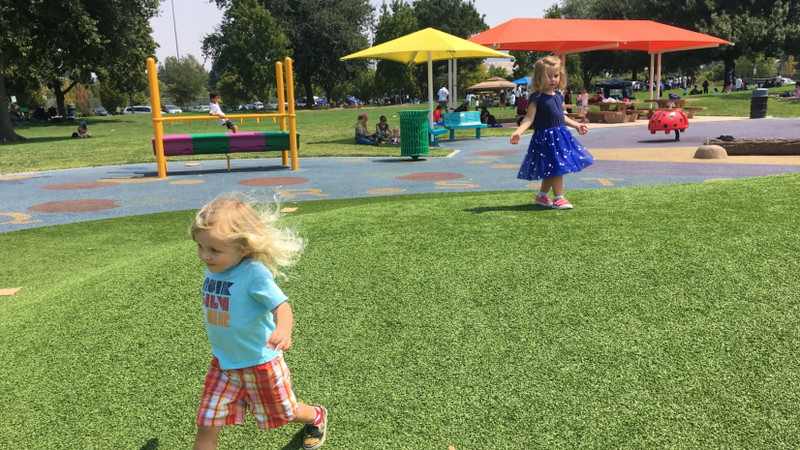 Follow along, taking the steps below to try collecting data offline. 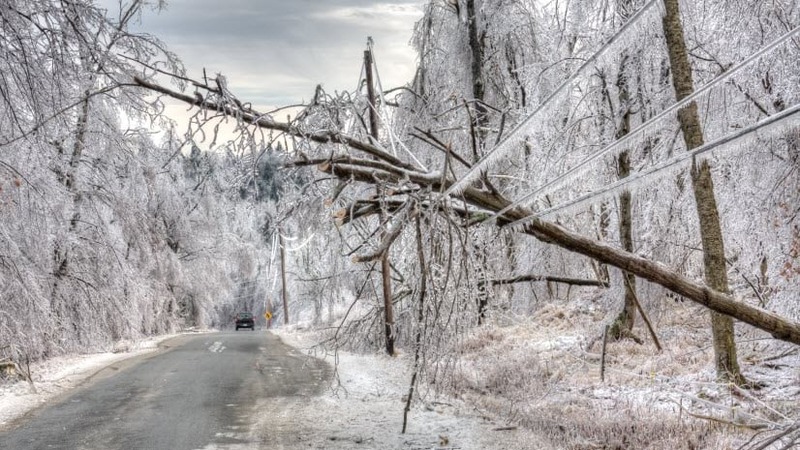 In this scenario, you are a gas company employee and you need to inspect service lines in Aurora, IL. No one needs to see your inspections immediately, so the protocol you follow is to work offline, syncing your changes once you are back in the office. 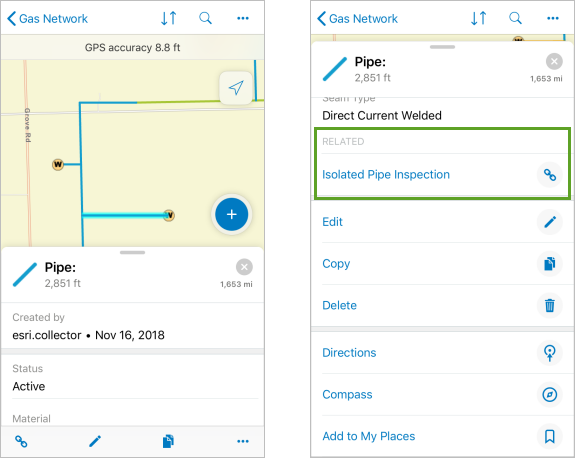 You’ll take the area of the map offline, do your inspections, then sync your changes to make them available to others. 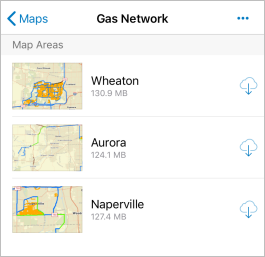 While you can go offline with Collector Classic, preplanned map areas (such as the one taken offline in this blog) are only supported in the new version of Collector, currently available on iOS. Open Collector for ArcGIS and tap Try it. If you’re already logged in, you’ll need to log out first to use the sample map shown in this blog. Tap the Gas Network map. You’ll see the areas available for download. Tap Aurora to download the map area. When the download completes, tap the map area again to open the map. You can work with this map the same as you do any connected map in Collector. Being offline doesn’t change how you update the service lines. Tap Overflow , tap Bookmarks , and choose the Aurora bookmark. You’ll see wellheads and pipes for the area. Tap one of the sections of blue pipe. You’ll see some information about the pipe, including its status, material, and normal diameter. Since your organization associates the report on each inspection with the pipe, there is a Related section at the bottom of the details. In the Related section, tap Isolated Pipe Inspection to see the existing inspection reports, if any exist for the pipe you’ve chosen. 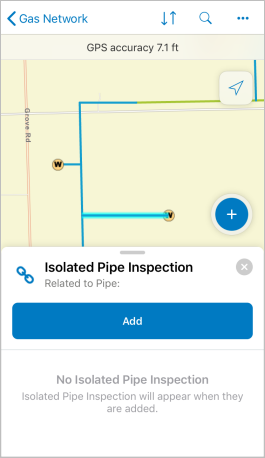 Since you’re doing an inspection, tap Add to associate your own inspection with the pipe. Fill out your inspection report, including your name as the inspector, today’s date, and making sure to include any required maintenance. Tap Submit to save your report. Although your report is now submitted, it is only on your device and is not yet available to those in the office. Continue with the rest of your inspections. Tap Sync to review your inspections. You’ll see the list of inspections you have completed. Tap one of your pending edits to review it, then close the inspection form. 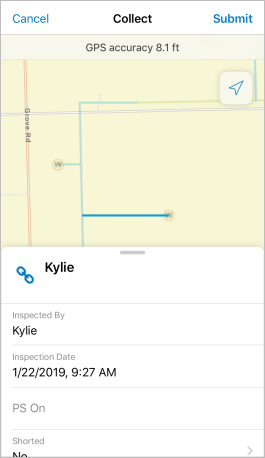 Still reviewing your inspections in the Sync panel, tap Sync to upload them. Worried that you’ll forget to sync? 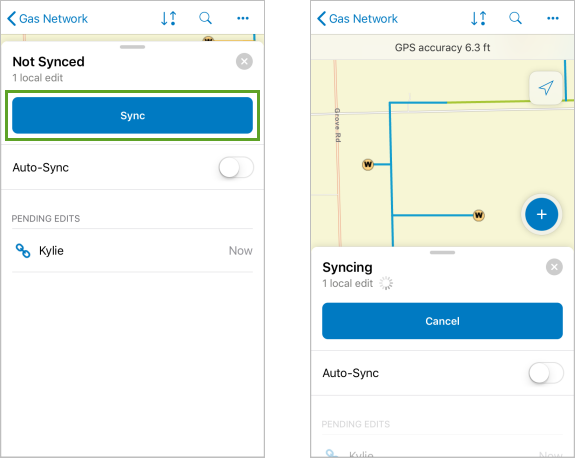 Enable auto-sync and the app syncs the map area you’re using when you have a data connection. Tomorrow you’ll be inspecting in Naperville and won’t need the pipes in Aurora to be on your device, so you can delete them. Tap Gas Network to return to the list of map areas. Since you synced your changes, you’ll see that the map is synced. If you had outstanding edits, you’d see that information on the card for Aurora. Tap Overflow for Aurora and choose Remove Area. Tap Remove again to confirm you are done working there. 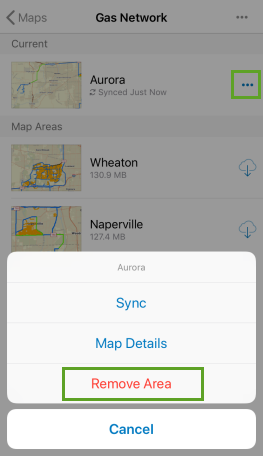 If you are working in both Naperville and Aurora the next day, just download Naperville. You can have multiple downloaded map areas on your device. Ready to create your own map to take offline? 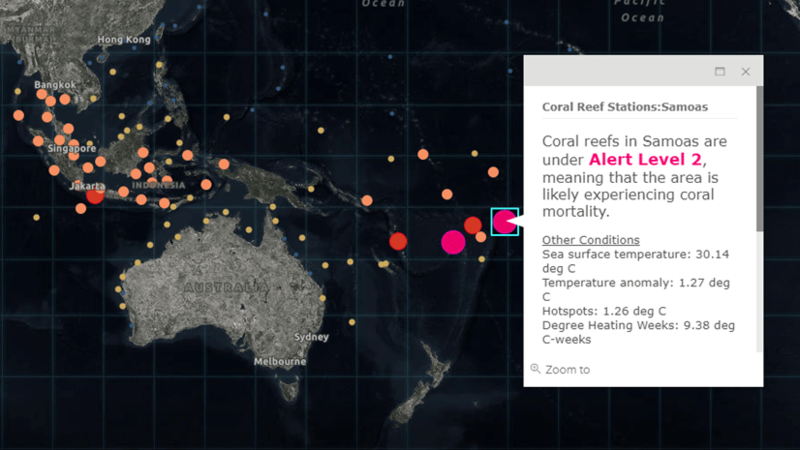 Make sure your map meets the offline data requirements. For your users to see map areas to take offline in Collector, you (as the map owner) can add preplanned map areas in ArcGIS Online or ArcGIS Enterprise.